Find out what makes the greatest people great and how to apply those lessons to your family, business, and life. 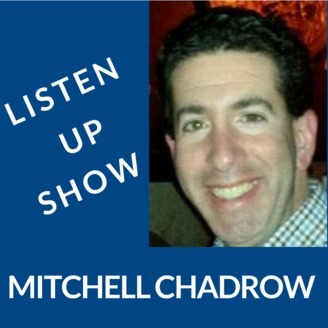 Join fintech entrepreneur, attorney Mitchell Chadrow as he shares inspiring stories from startups, leaders, and entrepreneurs with excellent business success, and world-class execution and influential people globally. 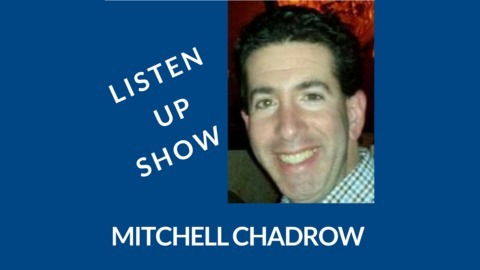 Visit Him On: http://mitchellchadrow.com. Covisum help advisors and their clients create a shared vision of the future. Their suite of financial planning tools, Social Security Timing, Tax Clarity, and, SmartRisk, financial advisors can take a multidimensional, holistic view of retirement for their clients. The company enhances their software services by offering expert training and awesome support. And the firms community of like-minded advisors enables members to leverage each other’s knowledge and experience to enhance their business practices, expertise, and centers of influence. Joe created and patented a software program back in 2011 called Social Security Timing. Joe has helped thousands of financial advisor clients identify optimal Social Security claiming strategies for their clients. He also co-authored the book "Maximize Your Social Security." Joe has been involved in the financial services industry since 2001 as an advisor, a marketer, and a coach. He was also the Director of Advisory Services for Senior Market Sales, Inc. The same company that owns a majority stake in Covisum and purchased Joe's financial planning business, Sequent. Joe has been featured in the Wall Street Journal, US News & World Report, CBS MoneyWatch, Investment News, Morning Star, Reuters, New York Daily News and other respected media outlets. Why did the software catch on so quickly well pensions have been disappearing over the last decade, markets can be seen as unreliable so social security is even more critical for families to create a lifetime income stream in retirement? Joe lets us know how critical the choices available and how the consequences of those choices can actually derail our retirement. The software compares every possible election strategy available to married couples, single people, divorced people, widows, government employees and even those who have already elected and generates a full report incorporating multiple possible ages of death, cost of living adjustments, including claiming instructions, cash flow report, income gap report, and more.